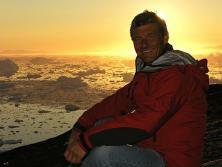 Television presenter, author and Polar explorer Paul Rose has travelled extensively over the years. His work has taken him to some of the most extreme places on the planet, from the harsh environments of both poles, to the colourful surroundings of the tropics, and pretty much everywhere in-between. We thought he’d have a thing or two to say about how to get the most out of your travels. Have you managed to get away much this year? Great year so far! 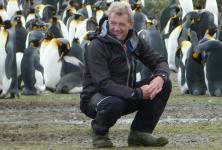 I’ve been working in Antarctica and have had a number of work and ski trips to Switzerland. I’ve been enjoying cross – country skiing in the Swiss Jura. I’m part way through my Royal Geographical Society speaking tour and it’s been great fun. And I’m preparing for my next Greenland expedition. I’m leading a team to make the first traverse of Knud Rasmussen Land where we’ll attempt some unclimbed mountains and then finish by climbing Gunnbjørnsfjeld – the highest in the Arctic. We know your work regularly takes you to the Antarctic. Away from work, what kind of traveller are you naturally? Beach bum, culture vulture or adrenalin junkie. All of them! I just love to be on a beautiful tropical beach with a polar work tan, which means I am dead-white except for my hands and face. And just become a total beach bum for a few days. It’s perfect to follow this with a journey to learn and understand the local cultures. If I can squeeze in some adventures too, then that’s even better. Beyond the obvious (passport, currency, phone etc.) what three things do you find invaluable when travelling? Made to measure earplugs are invaluable. I love them. They cost about £100 but are totally worth every penny. Using them mean I can sleep on flights, on boats, in tents, on airport floors and in noisy hotels. Swim, gym, running kit; essential for working off the effects of travel and those swimming trunks are especially handy in airports like Singapore where you can swim when you transfer between flights! Good books; When I’m travelling in mainstream, easy destinations I read more challenging work-related books. When I’m up against it in difficult conditions I read simple, easy novels. Anything by Tim Cahill. How can you resist titles like “Jaguars Ate My Flesh” or “Pecked to Death by Ducks”? Have you ever felt well and truly in danger while away from home? Oh yes! I’ve been run over by an iceberg on a science dive in Antarctica. Run out of food and fuel in the mountains. Climbed out of ditches after various truck and bus crashes. And the most dangerous was trying to cross the roads in Tehran – it’s impossible. You just can’t do it! Tell us three things that frustrate you about travel/holidays. 1. Queuing: Busy airports – checking in online and then finding that you have to queue for ages to drop your luggage. And then long queues for security. 2. Uninformed travellers; I am unhappy when I meet people who really have no idea where they are! Planning; allow enough time to learn the geography and main issues of your destinations. This has the added advantage of extending the travel experience. The journey; travel in a culturally and environmental sensitive manner. Knowing that you have planned properly means you can put your travel into perspective, really relax and have more fun. On return; share your experiences and learning with others. Being able to travel freely is a beautiful, essential experience. And it’s healthy to think of it as a privilege that comes with the responsibilities of travel. This again has the advantage of expending your travel experience. 3. Coming home to administration work that I should have completed before I left! I always have a good run or swim. It’s the perfect way to get the kinks out from the travel and absorb the new sights and senses. I’m leading an expedition in Greenland August. Developing new television projects, writing for magazines and a new book will keep me busy at the desk. My work at the Royal Geographical Society continues to be a real joy and we’ve got a busy, exciting year ahead. And, as ever, I will be travelling a lot! 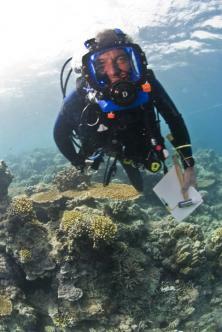 Paul Rose is the Vice President of the Royal Geographical Society, an Explorer, a television and radio presenter, a field science and polar expert and author. Paul has been awarded HM The Queen’s Polar Medal, the Royal Geographical Society’s prestigious Ness Award and the US Polar Medal.